My baby shrieks in my arms as I try and make scrambled eggs one-handed with just enough “fluff” that my toddler will eat it. But, fast enough that my daughter can enjoy them before carpool. Whew. It’s hard work taking care of my little people. Whether you have one child or five, it’s important to see that each child has their own set of needs. It’s not always easy because our kids demand of us in different ways. Some children need more of our time and attention than others. They need us to help push them ever so slightly in a direction that ignites their interests, while other children need US to get out of THEIR way! They know exactly what they want to do, if only we’ll let them. So, how do you value each child’s uniqueness? Step back. Watch and experiment with how involved you are. Ask questions and truly listen. And, constantly remind yourself that each child is unique. Our kids are individuals with their own lives. As my three-year-old always reminds me about our family, “Remember, we’s different peoples, Mommy.” His wise words reminds me every day to see my children as individual people. As I sent my daughter off to kindergarten last year, I reminded myself that I don’t have a whole lot of control over her experiences at school. She experiences so many things without me: Big things. Fun things. Tough things. All the things. While I don’t have a ton of control over what happens at school, I know that I set the tone at home. If she comes home teary or full of joy, I know that my daughter expects our house to be a place of acceptance, joy, and rest. It’s here that she can unload from the day and truly be herself. Even if that means fighting with her brothers or being upset with me, we don’t strive for perfect in our house, but we DO strive to accept each other: the good, the bad, and the unexpected. 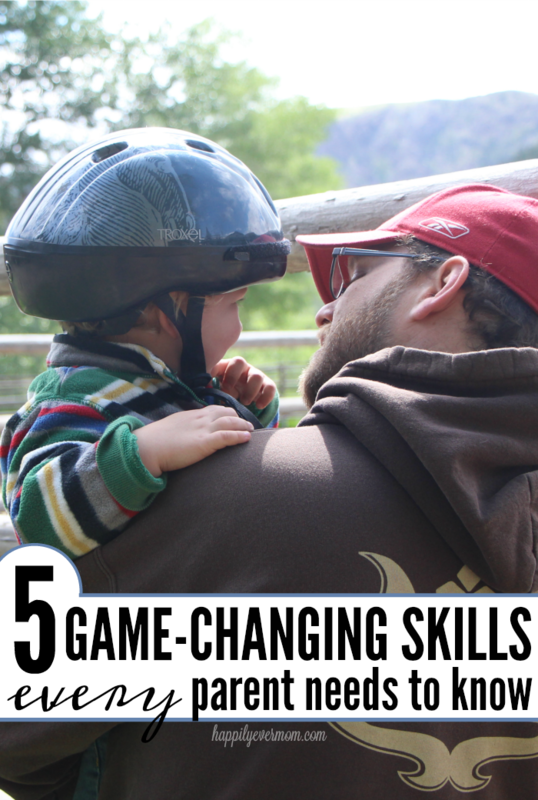 When I became a parent, I thought I would teach my kids so many things. How to enjoy their first bites of food, how to smile and laugh, and how to tickle their Dad just right so that he squeals like a school girl (trust me, it’s hilarious). 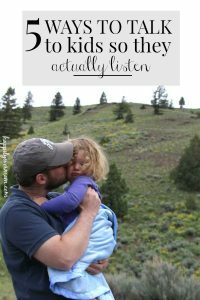 But, life with kids has been so much more than all of those firsts. My kids have taught me more about myself than any class could have taught me. I owe them my patience, my new found calm, my sense of purpose, this blog. If you let them, kids will teach you not only about yourself, but also a sense of reference for the world around you. I dare you to watch a toddler look at flowers and not be enamored with them. Or, watch a baby seeing bubbles for the first time and not smile. Kids have a wonderful way of teaching us the value of living in the moment and seeing the world with fresh eyes. It’s inspiring, if you take them time to notice the world alongside them. 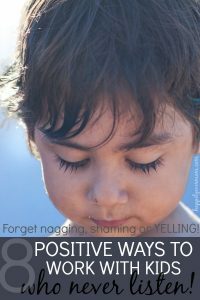 One of the easiest things to do is to loose yourself in parenting. From diaper changes to carpools, there are a thousand ways to focus only on the kids and forget that you are an individual (remember, #1? That applies to you too!). Make little changes during the day to nourish your soul and focus on what gets you excited about life. No, I’m not talking about radically changing your schedule. Instead, I like to find little moments during the day that I can use for me. Personally, I like to listen to podcasts while I’m driving to pick my kids up from school instead of listening to the radio. Maybe it’s taking a five-minute break to brain dump where you journal all of your thoughts. Or, getting outside for a few minutes without any plan or any device in your hand. Whatever it is, make it small and doable. But, get it done. Our kids deserve parents who aren’t running on empty (and we deserve to be filled up). I literally grabbed the tissue box as I read an article about a Mom raising her kids to leave her. Her words rang so true. It’s not our job to keep our children all to ourselves (although, somedays I wish I could freeze time forever) or to do everything for them. It IS our job to let them be who they were designed to become, even if that leads them far from us. We aren’t always going to be there to do everything for them. We aren’t always going to be there to cheer them on. But, we CAN have confidence that they can live life without us. And, that they will live it beautifully.